The Microsoft Office 2007 IT training programs offered by Brainstorm Inc. can help Windows IT managers educate their employees on the new features in Office 2007. BrainStorm Inc. offers training services for all of the applications in the new Microsoft Office 2007 and Microsoft Windows Vista. You can opt for training on site, over the Web (eLive) or via Train-the-Trainer seminars. BrainStorm helps enterprises upgrade or newly migrate to Microsoft Office 2007. For customized on-site training, a BrainStorm instructor comes to the organization and conducts classes with approximately 12 students. 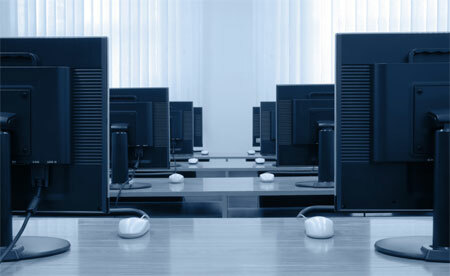 Companies can choose to use either BrainStorm's traveling computer lab or its own equipment. These classes can be customized to include instruction for any desktop application. Figure A: Training Services by BrainStorm Inc.
eLive: Online Training with a live instructor meets with a small group of students via a conference call and a special virtual lab. Absent only the face-to-face interaction, the hands-on course is instructor-led and students can ask questions and have them answered in real time. Classes are available in custom private and public formats. Train-The-Trainer Seminars: Available as a public tour or custom private course. These seminars help those who will be teaching end users, such as IT professionals, help desk staff or power users. They learn how to use every aspect of the software and about the methods of master trainers. The trainers can then conduct classes in their organizations professionally and efficiently. Public classes are scheduled according to availability. Pricing: Onsite Training: Price varies according to location and the number of days required for training; eLive Training: $299 for a Public Upgrade Course. Price varies for a private course; Train-The-Trainer seminars: $1,295 for a two-day public seminar. Price varies for a private seminar.